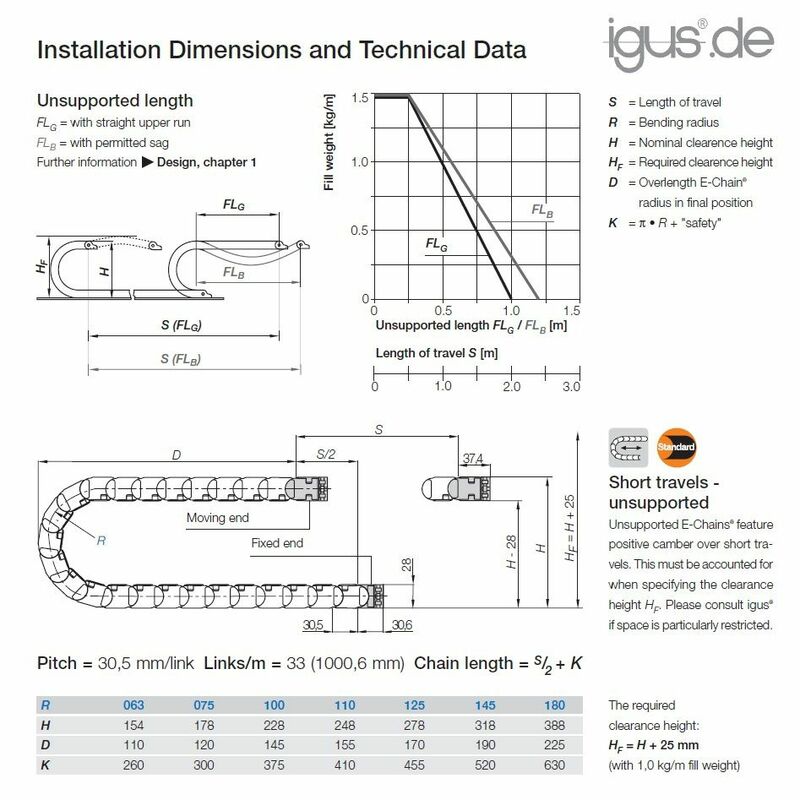 High quality energy chain from igus. The chain is always in stock. Further it has the correct dimension for most hobby applications. 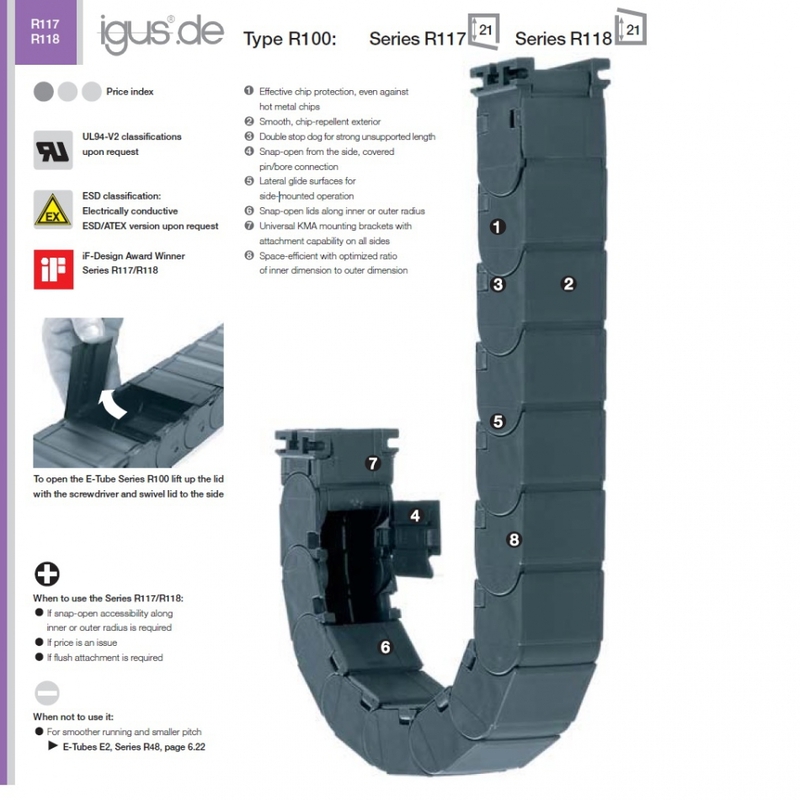 It is the variant which is closed for chips such that the cables cannot get damaged or dirty.